Are you a messenger motivator or mentor who is often asked to speak for free? 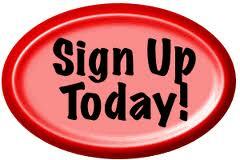 Would you like to use speaking to increase your credibility and your bottom line? "Activate Your Audiences and Monetize Your Message." You are ready to position yourself as a leader in your industry and brand not just your company, product or service but brand yourself. You don't want to waste weeks, months or even years learning how to launch your speaking business, write your signature talk and design your own speaker one-sheet. You are willing and ready to get it done NOW. How to comfortably offer your products, services, packages and programs during your presentation, class and style without sounding desperate or pushy. How developing a continuing education program can simple and quickly create a cash infusion into your business. In this 1-on1 VIP experience I will pull the curtain back and show you personally several income-generating tips and strategies to make sure you don't leave any money or leads behind at your speaking events. ﻿LaTania is totally committed to the successful outcome of her clients projects. She is detail oriented. Additionally, she is both sensitive and respectful of what her client(s) want. 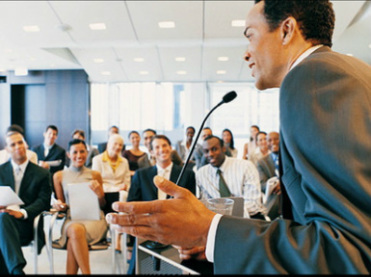 Activate Your Audience: How to craft a talk that will inspire and educate your audiences while also monetizing your message. ($100 + value). The #1 most effective (and fastest) way to attract ideal, high-paying clients while speaking on a webinar or over the phone in a teleseminar. With this outline you will learn the elements to creating a compelling “speak-to-sell” talk that you can use over and over again to attract new clients without ever leaving your home . Have you lost sight of your dreams, visions and goals and begun to settle for a “normal” life? Are you ready to dust off your dreams and start living with more fulfillment? 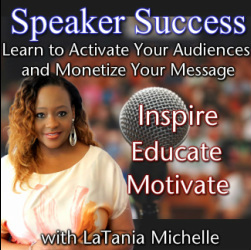 If you answered yes to these questions, then this insightful audio interview with LaTania Michelle by Maureen O'Crean founder of the Distinctively Diva Network will be just what the doctor ordered. In this audio you will discover that there is MAGIC IN THINKING BIG, and when you learn these time -tested strategies you can use them to not just reignite your dreams but also to make them come true. 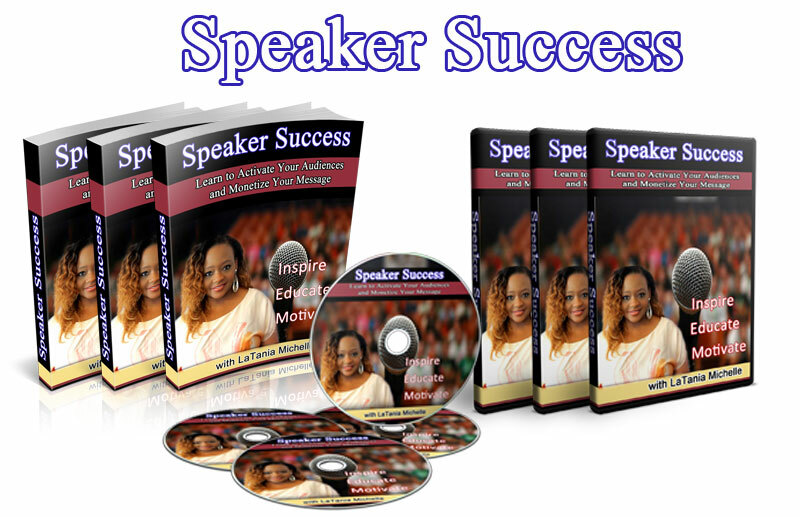 Enter Below to Join the 14 day Speaker Success Challenge FREE!